This lesson will show you some essential blues guitar chords and their common variations. Bear in mind that there are no set rules on which chords you can play, but there are staple chords that have defined the blues sound for over century. 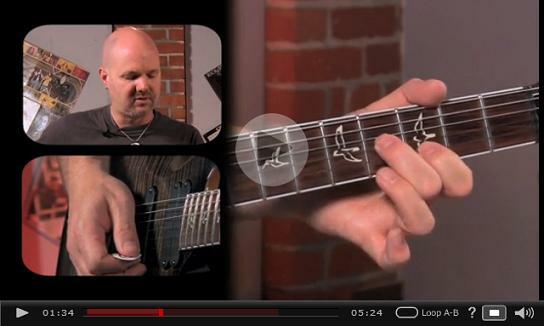 This lesson goes hand in hand with the blues chord progressions lesson. Simply apply the chord variations you learn here to the forms covered in the progressions lesson. You'll probably have come across some of the chord forms shown in this lesson, naturally as you've progressed with learning guitar. However, I'll show you some modifications of those common open and barre chord forms that will give them a more bluesy touch. Open position refers to chords that use open strings, most commonly chord forms down at the first few frets. Most people learn open chords as beginners (e.g. E, A, D, C and G major). They provide us with full, vibrant chord voicings and, in the context of blues, we're most interested in the dominant 7th variations of these open chords. E major is the most common blues key on guitar, so you could think of E7 as the 1 chord, A7 as the 4 chord and B7 as the 5 chord. When you start playing blues further up the fretboard, you'll need chord forms that allow you to play the same chords in any position. These are called movable chord forms/shapes because they keep their formation as you position them up and down the fretboard. The most common movable form is the barre chord, which I'm sure you're familar with. Just like with open chords, there are specific variations of these barre chords that give us more of a blues flavour. The two main barre chord forms used in blues are the E and A form (or shape). These chords are so called as they are rooted on the E and A strings respectively. You can use either of these positions for the 1, 4 or 5 chords in a blues progression, but it's most common to use the E form for the 1 chord and the A form for the 4 and 5 chords. There are also movable chord forms that don't involve a "barred" index finger. Some of these chords are cut down variations of the fuller barre chord forms, often referred to as "shell chords" because they contain only the most important chord tones (e.g. 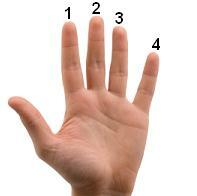 the neutral 5th is often omitted). Similar to barre chords, the most common shapes are rooted on the E and A strings. Each time round the blues progression, try mixing different variations and see what you can come up with. While it's common to play straight chords through a blues progression, guitarists often use chord or lead phrasing to embellish the 1 4 5 sequence. Blues phrasing will be covered in its own lesson, but here are a few examples to get you going. The audio example gives you some ideas on how you can play that variation. Will explore blues technique in a separate lesson! That one is built around the (E) minor pentatonic scale - a staple scale in blues music. The turnaround occurs most commonly in the last 2 bars of a blues progression. In short, it prepares the listener for the return back to the tonic and the start of a new 12 bars (or however many bars the form is).